There is surfacing water on my lateral field? The toilets won't flush and the drains are slow. What could cause this? What happens in lack of mainitenance? 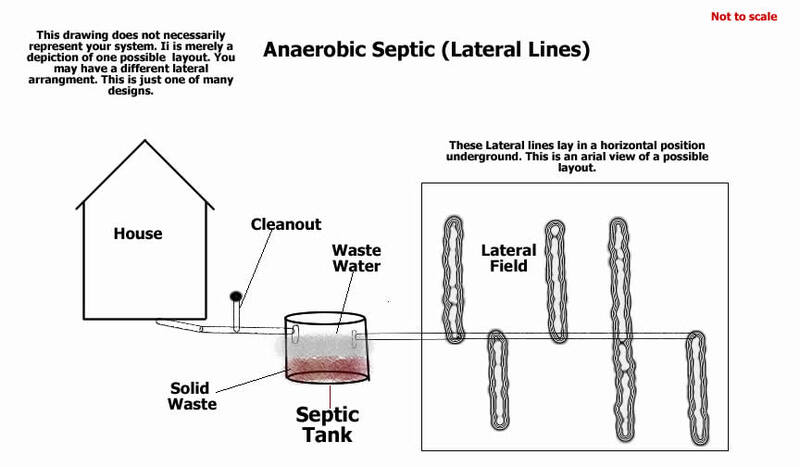 Solids build up in the septic tank to a point that debri passes into the laterat lines and attaching itself to the insides of the pipe. Waste water is not applied evenly to the field, instead the first pipe fills and then the second and so on until the first is dry enough to take on more water. Eventually the first pipe will fill with sludge stopping water flow into that pipe. At this point the second pipe becomes the first pipe in line and is doomed to fail like the first. This will continue until only one or two pipes exist, at which time so much pressure is put on the system with each flush of the toilet, with each shower and with each load of laundry that the waste water has only one of two options surface or backup into the house. Surfacing is the lesser of both evils. The only solution at this point is replace the lateral lines. There have been people in the past try to convince homeowners that they can blow out the lines it will solve the problem. This is only a temporary fix. The pressure exerted inside the pipe drives the grease like material out of the pipe and into the surrounding gravel clogging it even further. You will see relief for a very short term until the pipes fill with water. Now you have no exits from the pipe and the water will backup again. My belief is that the people stating that this is a fix probably had greatgrand fathers that sold snake oil. Other causes for this occurrance is poor surface drainage. If during a rain or snow, water is left standing on top of the field, this will cause a mud settling effect. What happens is the dirt on top will slowly silt into the surrounding gravel and tighten the rock and soil. Eventually shutting off the pipes. So remember if you have a new lateral system or an older system it is necessary to maintain the system by pumping on a regular basis. We recommend you find a pumping company that you can trust and get them scheduled for an annual maintenance. P.S. Do not use additives ( the septic tank stuff. I can't mention names here due to legal ramifacations).